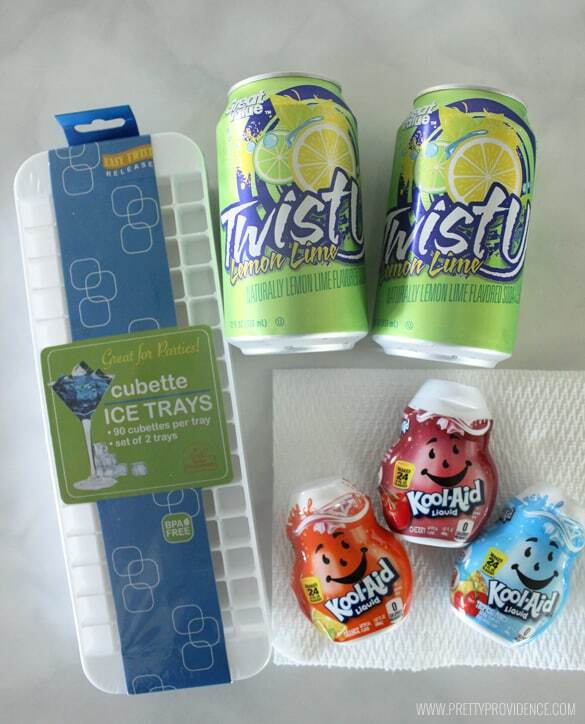 Fun and Easy Magic Ice Cubes! This post is brought to you as part of Kimberly Clark’s #celebratefamilyvalues campaign! As always, all thoughts, ideas, and opinions are 100% our own! As a mother of three kids three and under, things can get a little crazy around here! Since our little brother is still so new, we aren’t going out in public a ton yet.. and let’s be honest, taking my three cute little’s out and about by myself is still a bit overwhelming. In prepping for brothers arrival, I knew that this would probably be the case so I planned a whole bunch of super easy fun summer activities (like our fun ice cream in a bag, or our homemade bubble solution) that I could do to keep my toddlers happy and entertained for the days that I just don’t have it in me to venture out of the house. I have to tell you, these magic ice cubes have been at the top of their list! It’s amazing how the simplest things can make these little people so happy and excited. 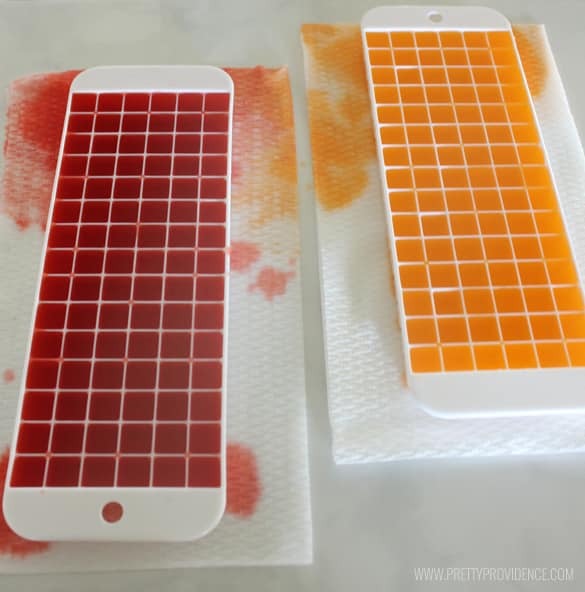 Lay your paper towels out on your work surface underneath your ice cube trays (Kool Aid can stain and it is hard to pour exactly into the trays). 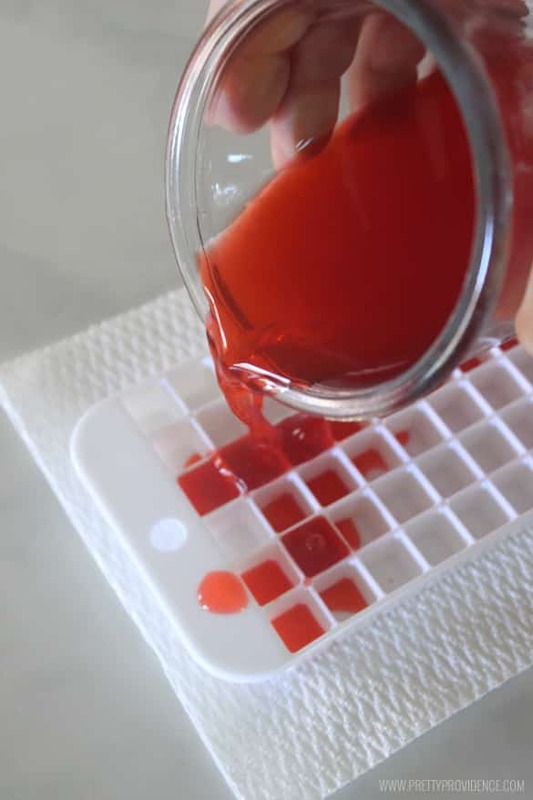 Poor prepared Kool Aid into ice cube trays and put them in the freezer until frozen solid (typically waiting overnight is best). 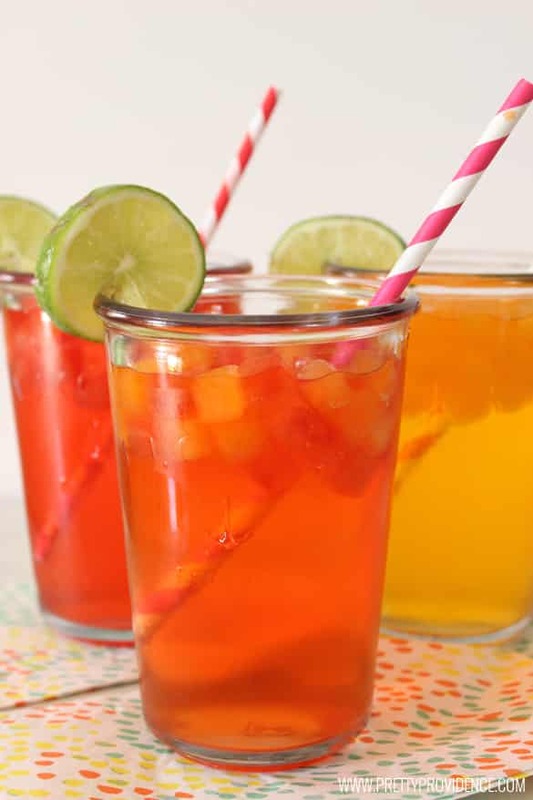 When colored cubes are ready, pour your soda into glasses and add the desired color of cubes. Watch the "Magic" as your drink changes color before your eyes! I’ve said it once, but I’ll say it again, Viva Vantage paper towels are the beeesssssttt! Make sure you get your coupons from the Pick Up The Values page for amazing deals (seriously, they will be cheaper than generic)! This time we used red and orange Kool Aid mixes! Blue and green are favorites too, any really bold color is fun! Here’s some pictures of the process in action. Stirring makes the cubes melt faster, and so does heat! We used these mini ice cube trays, which makes them melt really fast, so if you want to prolong the process you will want to use larger trays! 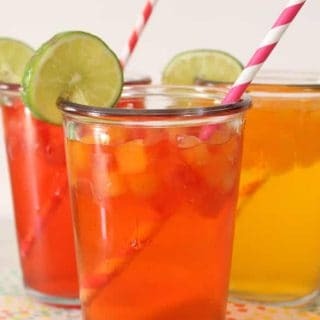 The drink on the right is the red cubes, the left is the orange and the front/middle is a mix! We had so much fun with this activity, I hope your little ones love it as much as mine did! P.S. Don’t forget to check out Pick Up the Values on Facebook and Twitter for awesome deals and tons of other fun posts in their #celebratefamilyvalues series! This is the cutest idea ever! I LOVE that ice tray! My girls would love this! How fun! Yay! I’m so glad! You will have so much fun! This is such a great idea Jessica!! 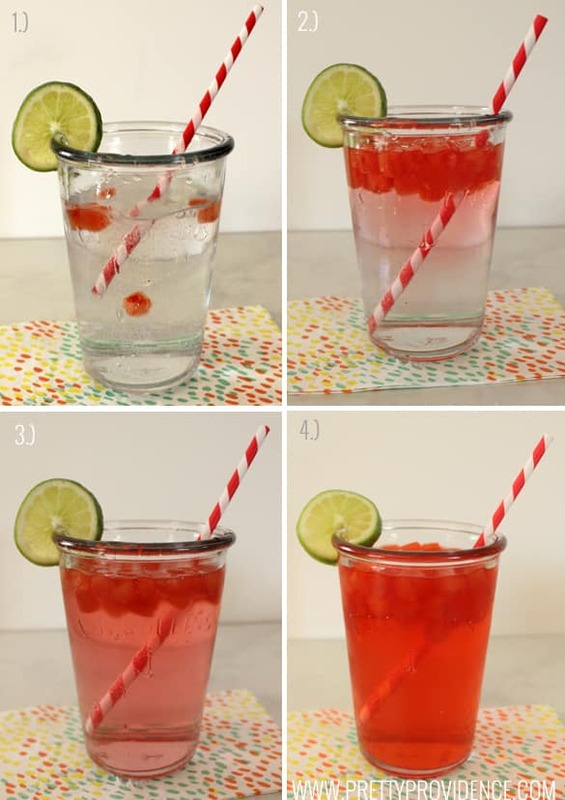 We love the liquid Kool-Aid too…But never thought to make them into ice cubes! Where did you get that cute tray? Thanks, it’s so much fun! I got them from Amazon! There is a direct link up above!